The Caravan Park at Butlins Skegness has its own designated area and is the ideal place to relax after a fun filled day at Butlins, connected by an underpass to the Butlins main resort, just a short walk to all the facilities and the Beach, and with a great choice of holiday caravans to hire there's sure to be one to suit your taste and budget, and our advisors will be happy to help you find the right caravan for you. Theres always something going on for adults and children alike, and with lots of free activities included in the price you'll always find something to do. 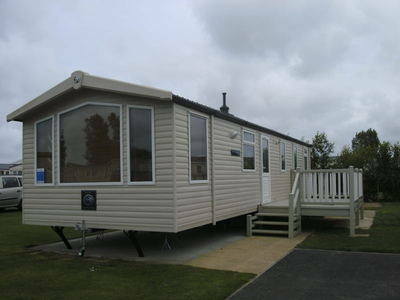 Our Gold Plus range of Caravans at Butlins Skegness offer that extra bit of comfort and Luxury, the caravans have extra finishing touches that give the caravans a more home from home feel. 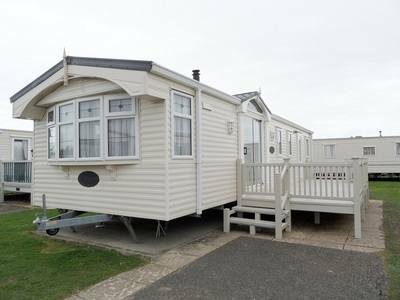 £75 deposit per caravan is required within 4 days to secure your booking, (deposits are non refundable) The full balance is due 9 weeks before your stay.